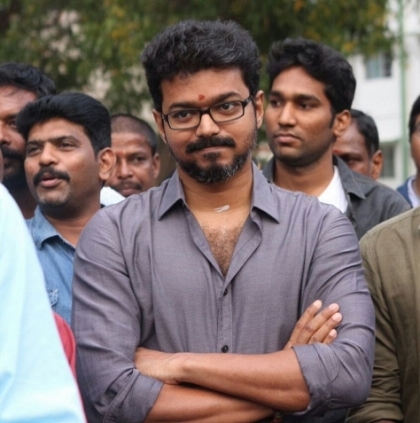 A BIG DISAPPOINTMENT FOR VIJAY FANS? Everyone has been waiting to listen to the songs of Bairavaa, which has music by Santhosh Narayanan. It is now said that the songs of Bairavaa might be released on 17th of December. Reports also suggest that there will be no big audio launch event and the songs are most likely to be released directly through online platforms. It is not known, why the makers have planned for a soft audio launch, but this might be a disappointment for Vijay fans, who would have hoped to see their favorite star directly at the event. It should be noted that the audio launch of Vijay's two previous films, Puli and Theri, happened in a grand scale. Let us wait for an official announcement regarding the audio launch plans of this much-awaited film. People looking for online information on Bairavaa, Ilayathalapathy Vijay, Santhosh Narayanan will find this news story useful.